The Zephyr Selection offers a variety of outdoor furniture pieces that are as bold and captivating as the collection's name! Extremely unique in its elegant, old world design and heavily inspired by the French Mediterranean. 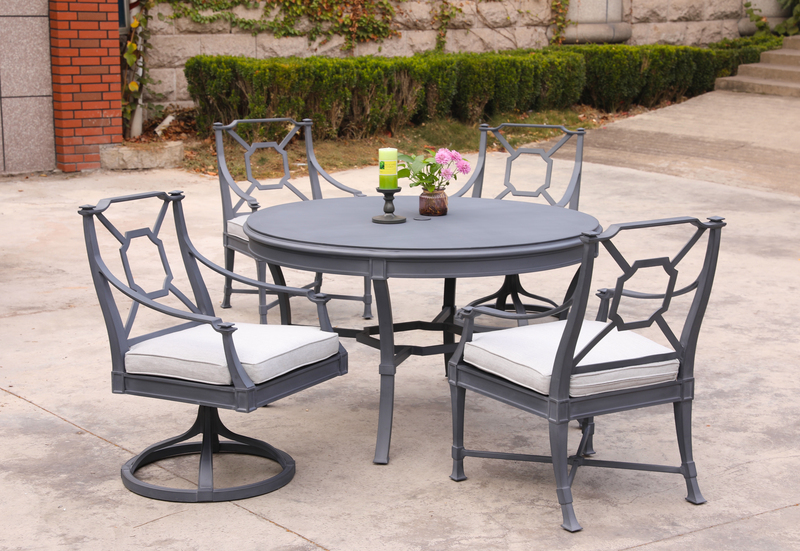 The frame is made from rust-free aluminum and a heavy duty fully welded frame. Complete with Sunbrella Cast Silver fabric so that you can have worry free, outdoor entertainment all summer long. 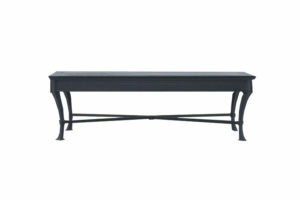 The Zephyr Collection also offers a complete furniture line up with Dining, Deep seating and occasional tables. 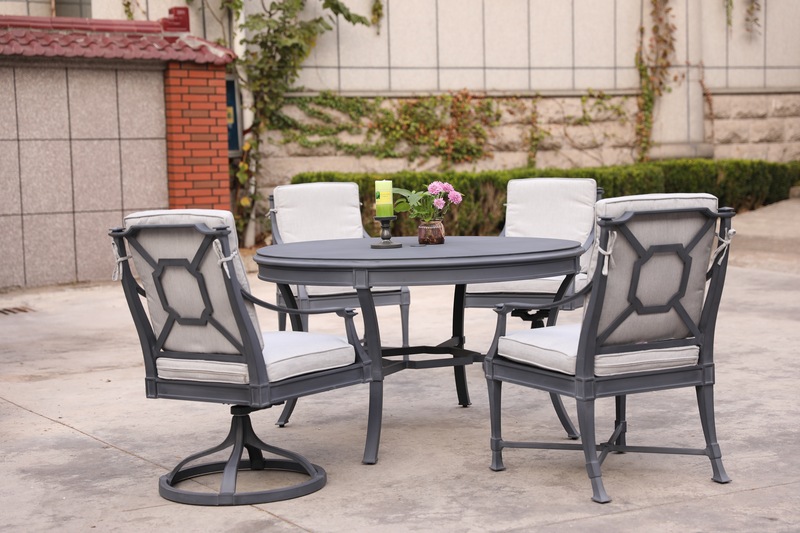 The dining tables are made from a completely flat aluminum surface with faint detail in the top, each with adjustable foot glides to level on any patio or outdoor surface. The Zephyr Lounge Chair incorporates the traditional and timeless look of Aluminum Deep Seating, while keeping in line with modern, trending colours such as shades of grey. 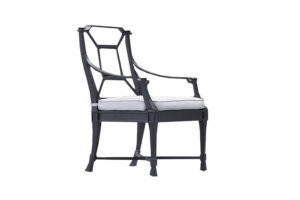 The intricate frame design makes this piece unique and a true accent to your outdoor living space. Complete the look of your space with a versatile that can be used with Lounge Chairs to rest your feet, or as a modern Coffee Table. 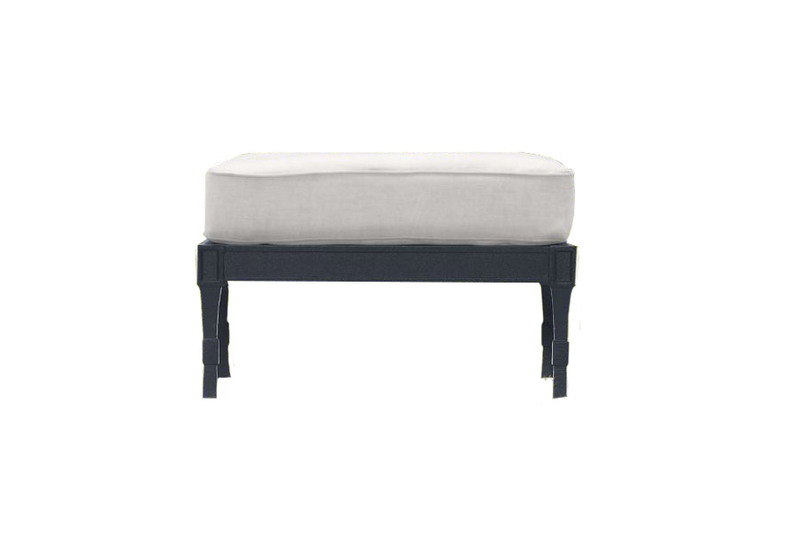 The Zephyr Ottoman is complete with a matching, weathered Zinc Finish and Granite cushion. 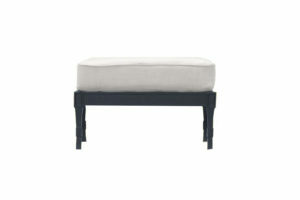 Every Deep Seating Collection should have a place to display outdoor decor or snacks for your guests. 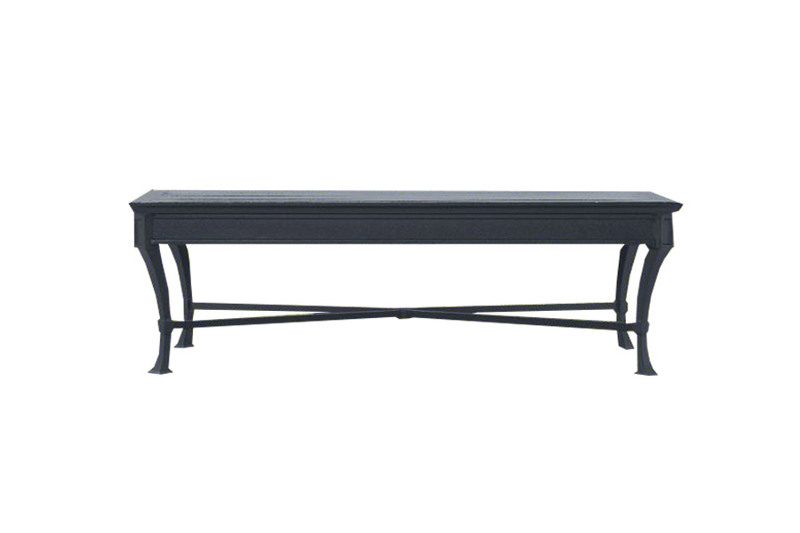 The Zephyr 29" x 48" Rectangle Coffee Table is the perfect size and shape to do just that! 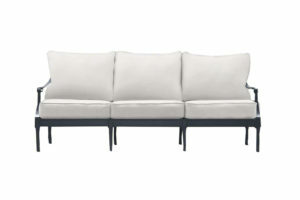 Fully detailed with the same Weather Zinc Finish as the Collection's Frame for an exact match. 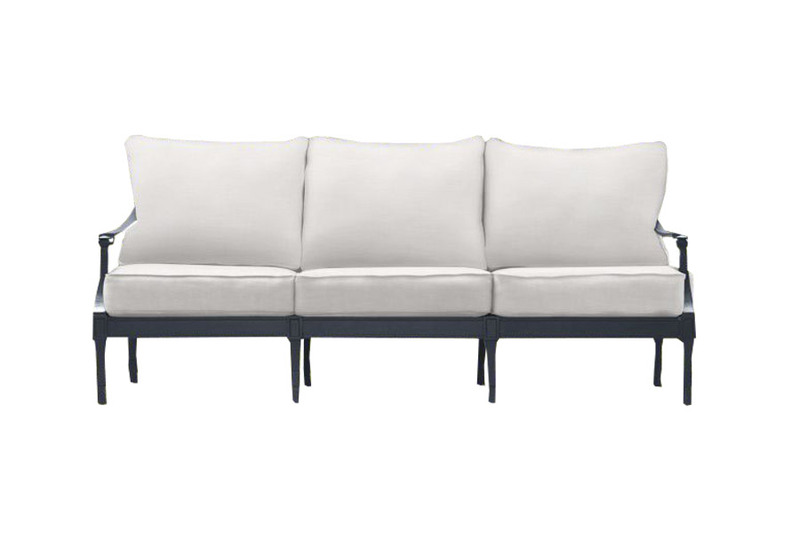 The Zephyr Three Seat Sofa is a large, tasteful detailed piece that is suited just as much for comfort as it is for style. Entertain guests comfortably as they relax on the thick, plush Granite coloured cushions (included in the price). The Zephyr Arm Chair provides deep, elegant seating. 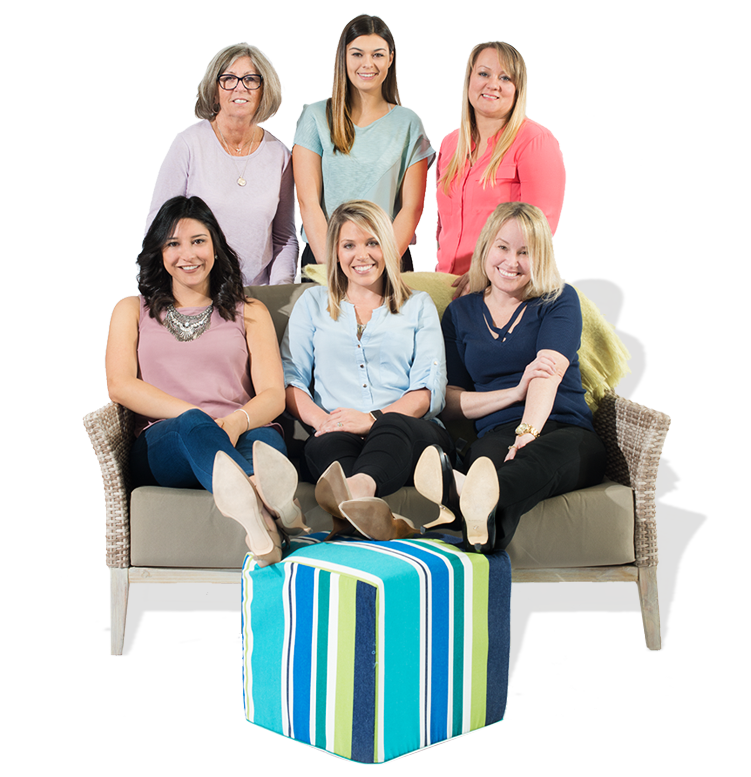 Ergonomically designed, the Zephyr Chair offers the support you need to spend hours in your backyard. 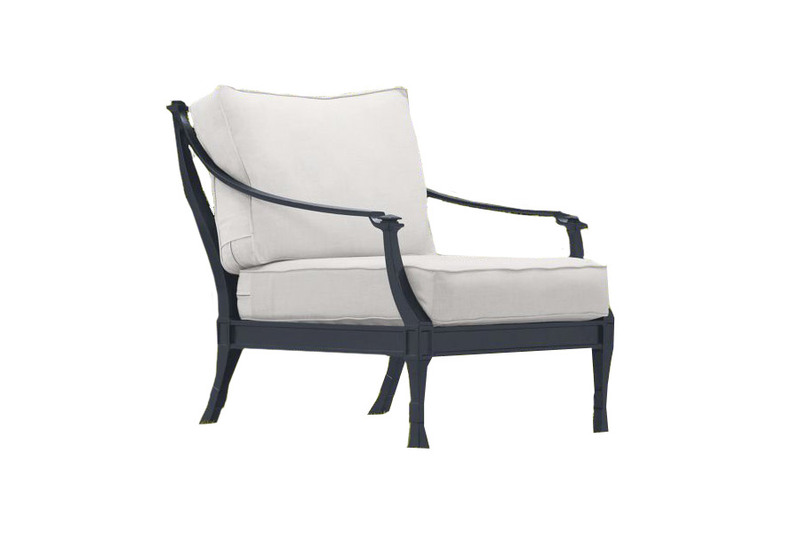 With a sleek finish, available in weathered zinc or granite, let the Zephyr Arm Chair be your top choice for modern, yet comfortable, outdoor living.